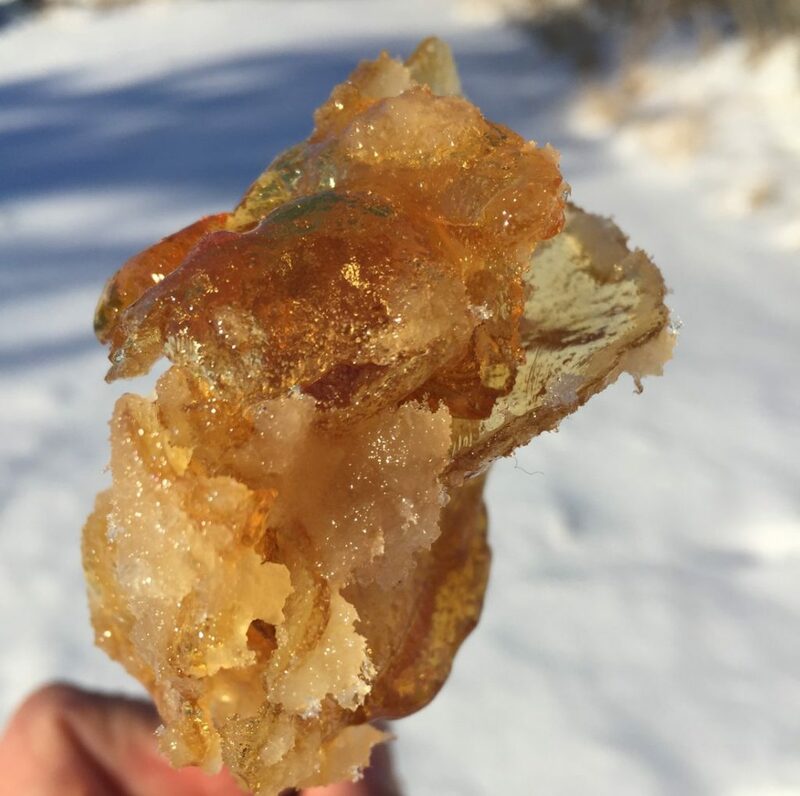 Also known as Maple Taffy, Sugar on Snow, and tire d’érable, snow candy is an old recipe that was first practiced by indigenous tribes long before Europeans came to North America. The tradition of making this simple, homemade treat was passed on to settlers along with the practice of making maple syrup. Today, it is still practiced in places where maple syrup is made. For some, it is an integral part of the maple syrup process and a tradition that cannot be forgotten. 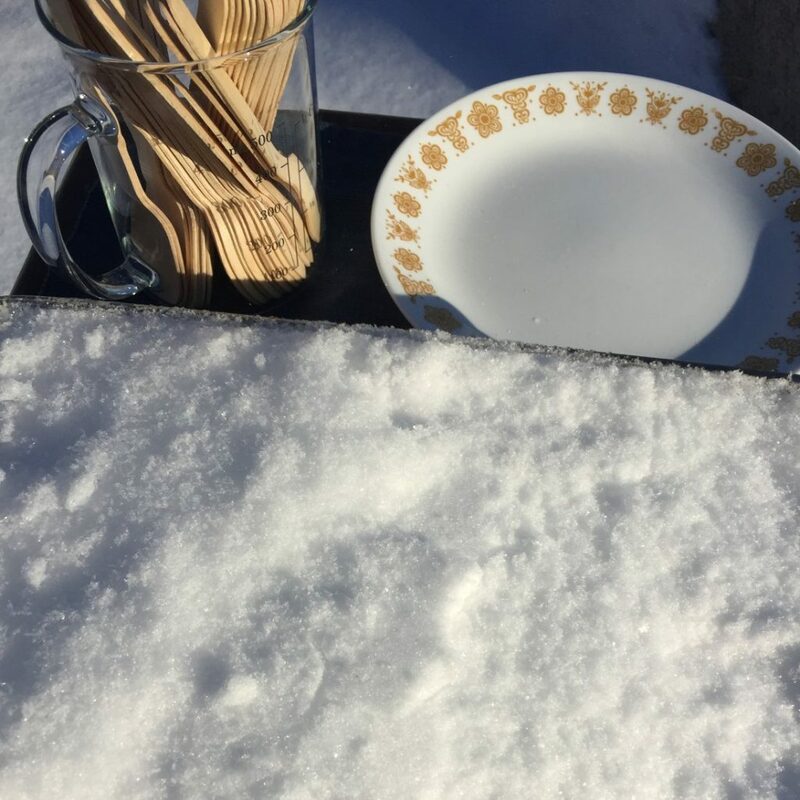 Sugar on snow parties celebrate this tradition by serving the candy along with pickles and coffee. 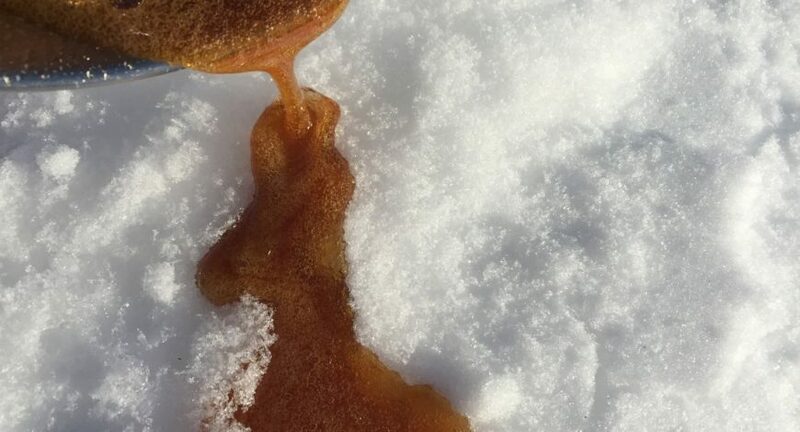 The texture of snow candy is similar to that of soft caramel. It is made by boiling maple syrup to a specific temperature, then rapidly cooling the slightly thickened syrup by pouring over fresh snow. It is typically rolled around a stick or cutlery and eaten fresh. 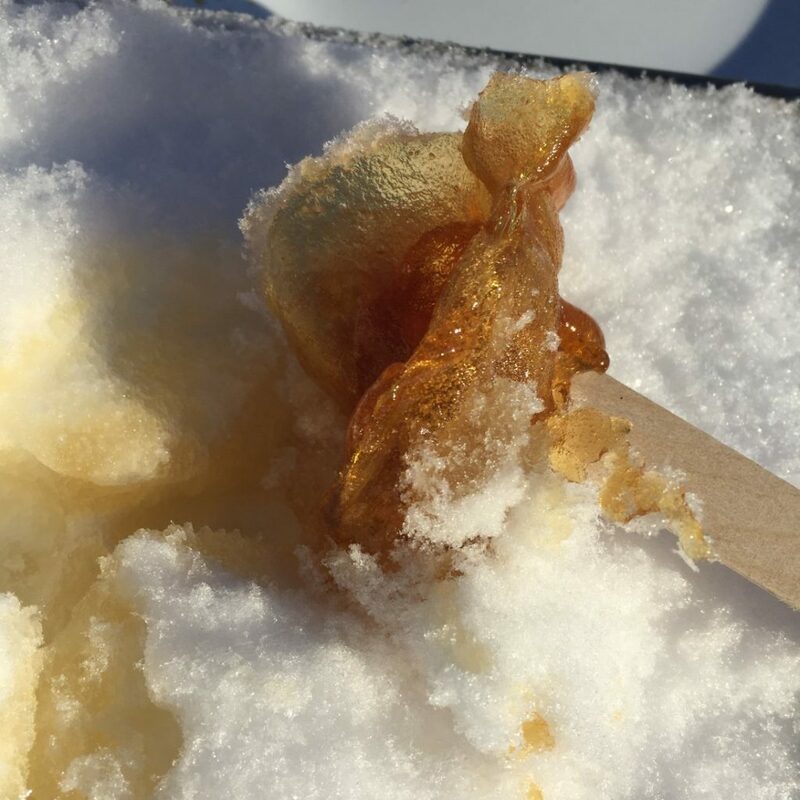 This simple and enjoyable experience is a great way to celebrate winter and a love for maple syrup. Try it yourself after a fresh snow with these simple instructions! Begin by gathering fresh snow and packing it in to a container. Heat Maple Valley syrup in a sauce pan until boiling. 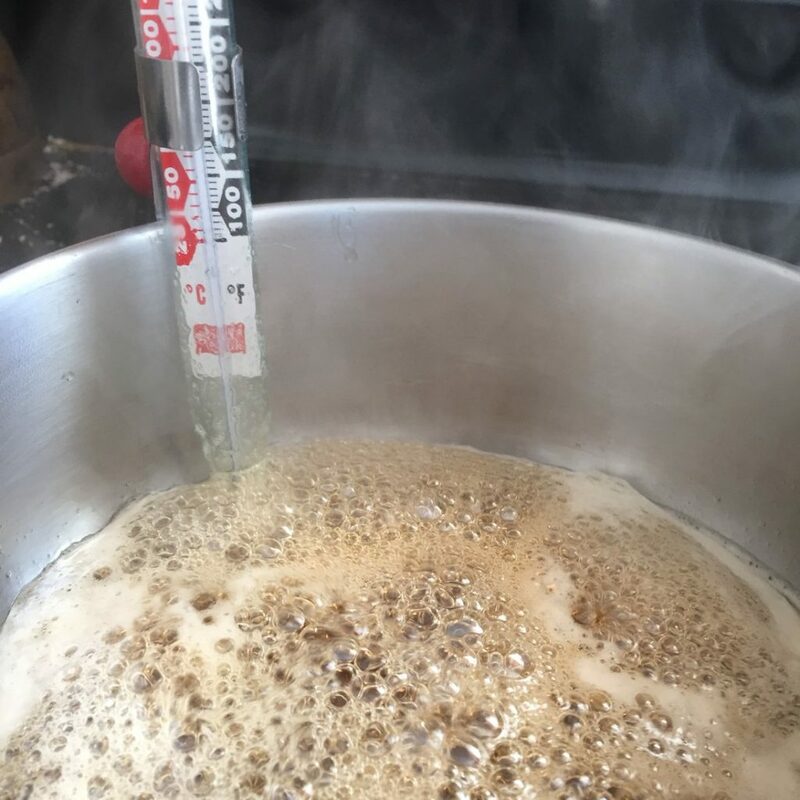 Use a candy thermometer to watch temperature during this process. 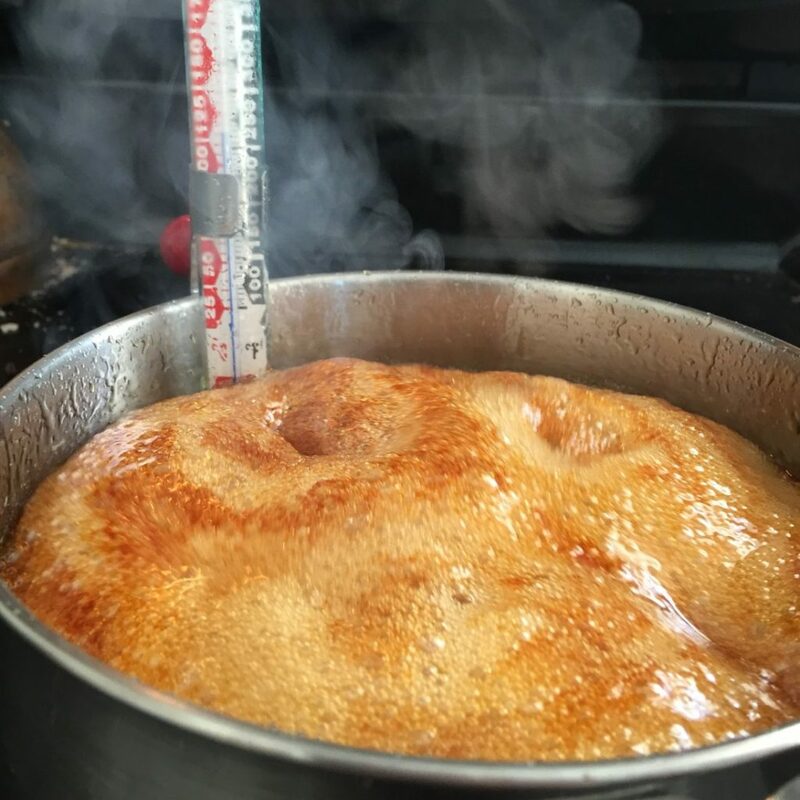 When the maple syrup reaches 240°F, remove from heat. If you want hard candy instead of chewy, you can heat it up to 250°F. 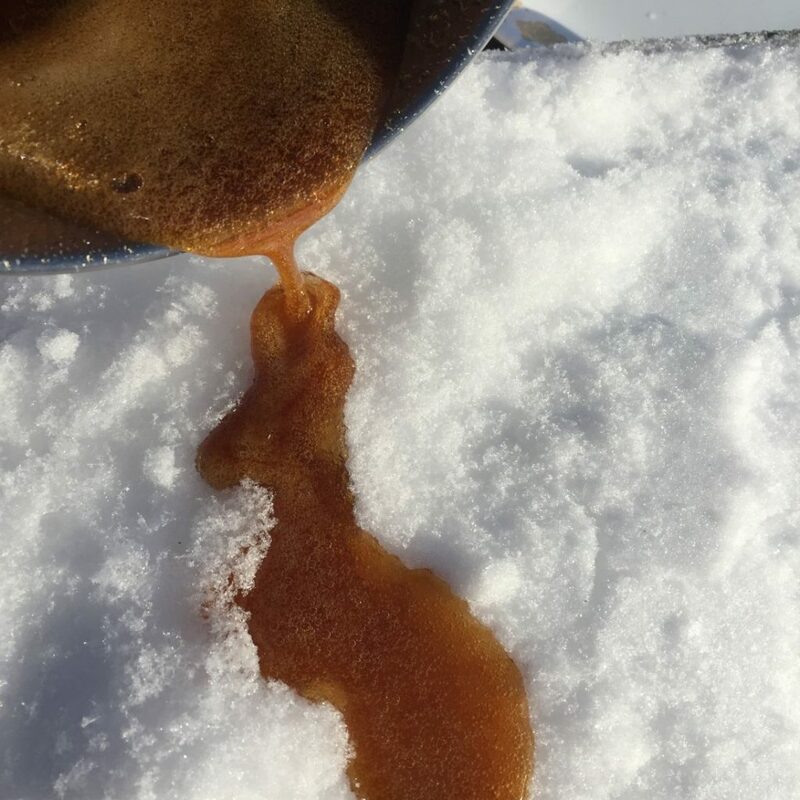 Pour the hot syrup over the snow in lines. Press a stick or utensil into the syrup as it cools and roll it up. All these years growing up in Mass. I never knew how to make this treat. Now I live in AZ so I’d have to drive 2+ hours to make ir. I’ll send it on to my Mass relatives.